Vie Associative is a key pillar at ESCA Ecole de Management training. It inspires and encourages students to create, innovate, implement and evaluate projects that complement their training. Such a process of personal development allows them to mobilize their managerial skills (project management) and to acquire positive attitudes sought by the companies such as the sense of responsibility, the respect of the individuals as well as group work and thus of the synergy between the students. To do this, students carry out several management tasks including: the Business Plan, the search for sponsorship, the planning and monitoring of the project. Students gain a sense of responsibility, develop new knowledge and showcase their entrepreneurial skills. This is the most effective way to enable people to help people who are really in need .To contribute in developing our country and also in the training of future managers here at ESCA Ecole de Management, because as you all know, the key to a country’s success is investment in education, health and infrastructure, thanks to our humanitarian caravans, children will be able to study, older workers will benefit from work that will allow them to acquire greater purchasing power. Development, Knowledge & Creativity are the three key words of the Culture Unit. The objective is to be a real source of knowledge for students but also and perhaps more importantly to allow the development and the expression of talent. 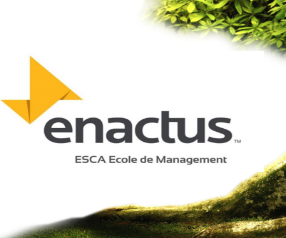 In addition, we are also here to guide, supervise or accompany all projects related to the cultural aspect of ESCA Ecole de Management by bringing the resources, skills and methodology necessary for their organization. Culture Unit is one of the most interesting and important unit in la Vie Associative because it teaches us the meaning of sharing, the exchange of ideas and experiences but also the collective work. This workshop allows students to share a moment of pleasure through improvisation and expression games. And other exercises to have more confidence and thus be able to speak in public much more easily, something that will help students not only in their presentations, defenses, memory but also for their internships where they will have to work with new people, all these exercises will allow them to better communicate with others. The Escamistes Choir is the music club of the school, where students share their passions for singing “pop, jazz, classical ..”. In this club we find competitions of talents or simply meetings to share musical pleasure. This club is dedicated to people who love discovering new culinary cultures from different countries. In this club there are different gastronomic events where students can share their expertise in the field or even learn new techniques, recipes, new tastes and a new culture that is Indian, Japanese, African, European or other. This is the group of debates and round tables par excellence, where students can freely debate political issues. Students must organize one event per month at a minimum. This club prepares dance choreographies and lip dub, this allows students to have a good time romp, out of the stress of daily studies. This Unit is dedicated for budding managers, it includes all the activities that will be a real toolbox before the actual entry into the world of work. It is the one that directly affects our theoretical studies and our learning. You will lead actions such as thematic management conferences, market studies, company visits, seminars etc. The essential characteristic of the company visit is to open the backstage of a running company to students to see all or part of the process of the company. The studies will address the issues that companies and associations face. They will be in the form of competitions for students. Marketing competition dealing with the problem of a company to solve. Share with students the incredible success of men and women who dared to undertake where others would never have gone: A new business concept, a new cause, a new product, or simply an out-of-the-ordinary dedication to success. These are several training and friendly matches that are held every weekend in a covered room. This club is dedicated to people who love this discipline. In this club we find several events where the students share a pure moment of pleasure. This club allows our students to get out of the stress of everyday life, to share with one another their passion for playing cards and chess. Creativity, sharing and initiative are the cornerstones of the Pole entrepreneur ship and innovation. Raise students’ awareness of entrepreneurship, become aware that they are actors of their own future with the multitude of opportunities available to them. 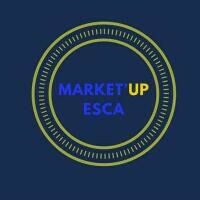 Identify and mobilize all economic actors, public and private bodies, companies and associations to support the projects of ESCA students. In the framework of these different missions, several projects are springing up in ESCA: Creation of the student-entrepreneur prize, competition of the best idea, organization of interuniversity round tables and testimonials of experiences of national and international entrepreneurs. – Visits company (Multinationals / Agency of communication / SME which have in their heart of trade the Marketing and the communication). – Cycles of Conferences and formations. – The student solution in operational marketing for companies. – Companies created to provide answers to society issues following the Enactus experience. Mission : ESCAGREEN is a club specialized in sustainable development, whose objective is the information and awareness of all students, teachers, staff … to the challenges of sustainable development. 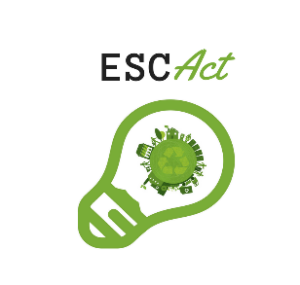 For ESCAGEEN, sustainable development is a major and essential asset of the vision and functioning of society: it allows for a democratic model of society, viable in the long term, which could reconcile efficient economic activity, human development, protection and preservation of natural resources. TEDx is a program that allows schools to enjoy a TED-like experience through self-organized events. The TEDx program licenses are awarded by the EFILE teams to create a viable ecosystem around the globe. 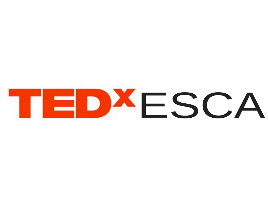 The goal is to give ESCA students, organizers or participants, a very rich experience in added value through the topics and the way of thinking established by the TED community. Mission : a meeting between students takes place every Thursday at 5:pm at the cafeteria of the 2nd floor whose purpose and to freely address several topics that interest the Escamistes that it is in the context of their student life or others. 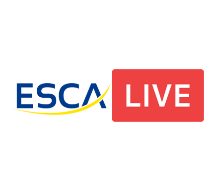 Mission : total coverage of all events realized by ESCA Ecole de Management. 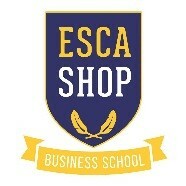 Mission : the development of the shop ESCA shop through the proposal of new derivative products and more attractive design. A business incubator or startup accelerator is a support structure for business creation projects. The incubator can provide support in terms of accommodation, advice and financing during the early stages of the company’s life. 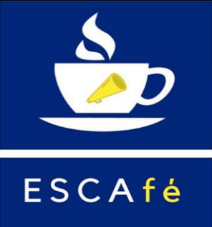 In 2018, ESCA Ecole de Management launches its incubator “ESCUBATOR” and is classified in the final of the CISC San Diego competition with a project entitled “FAREL”. The International Relations Unit responds to international calls for projects that promote the development of knowledge and the acquisition of new experiences. Today, opening up to the world is more than ever a necessity. To support you in the development of your projects, our team is at your service. Mission : the Welcome Team is the link between Escamite, foreign students and students recently arrived from abroad. It is therefore a family that grows ever more each semester. International Dinner, Afterworks, Farewell Dinner, Welcome Teaz ‘evening and many other events are organized throughout the year to integrate Incomings, and make them discover the joys of Casablancaise cities. 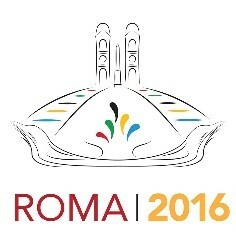 ESCA EM participates each year where students demonstrate their skills in several disciplines. The InterUniversities World Championships will be organized under the auspices of IUSC – InterUniversities Sport Committee, to emphasize the importance and prestige of the event. In 2017 ESCA EM was the first school on the African continent to represent its school in the discipline of Cheerleading.